The UF Department of Surgery celebrated it’s 14th Research Day on Friday, April 13. Primary Mentor: Shawn Larson, M.D. Primary Mentor: Scott Berceli, M.D. and Salvatore Scali, M.D. Narendra R Battula, M.B.B.S., M.R.C.S., M.D., F.R.C.S. Primary Mentor: Alicia M. Mohr, M.D. and Adam Katz, M.D. Dr. C. Keith Ozaki serves as the first John A. Mannick Chair of Surgery, Brigham and Women’s Hospital, and as a Professor of Surgery at Harvard Medical School. Dr. Ozaki earned his undergraduate and medical degrees from Duke University, trained in general surgery at the Deaconess/Harvard Surgical Service, and went on to complete a fellowship in vascular surgery at the University of Michigan. At the University of Florida (1997-2008), he served as Professor and Chief of the North Florida/South Georgia Veterans Health System. This academic surgeon performs over 300 open vascular cases per year. Recently he co-edited a two-volume comprehensive vascular surgery textbook/atlas Master Techniques in Surgery: Vascular Surgery (Lippincott-Williams & Wilkins, 2016). 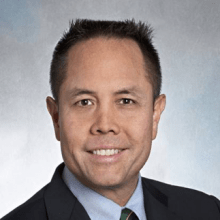 At the Brigham and Women’s Hospital his administrative roles include Clinical Director, Vascular and Endovascular Surgery, Integrated Cardiovascular Services, and Director of Resident Research. Twice the Florida surgery residents recognized his role in their training via the Lester R. Dragstedt Award, and in Boston Dr. Ozaki was a nominee for the Harvard Medical School Charles McCabe Faculty Prize for Excellence in Teaching, and he won the 2017-2018 Joseph E. Murray M.D. and Simon J. Simonian M.D., Sc.D. Prize for Research Excellence in Surgery. Nationally he has served (via dedicated committee work) multiple national professional organizations such as the American Board of Surgery (Vascular Surgery Board Director), Society for Vascular Surgery, Lifeline Foundation, Vascular Access Society of the Americas, and the American College of Surgeons. Beyond his clinical and teaching contributions, Dr. Ozaki has led an NIH and AHA funded basic vascular research laboratory for two decades. His efforts broadly aim to delineate how physical forces alter the morphology of the blood vessel wall. Recent investigations of the Ozaki Laboratory have focused on inflammatory and adipose driven mechanisms of these adaptations. Ongoing research expands this knowledge via studies into links among dietary restriction, adipose biology and vascular events. His works have been published in highly competitive journals within surgery (Journal of Vascular Surgery, Surgery) and beyond (Circulation, Circulation Research, American Journal of Pathology, American Journal of Physiology, Cell, Nature Biomaterials).